Progress is being made on the restoration of the stream corridor running through Glenlake Park. 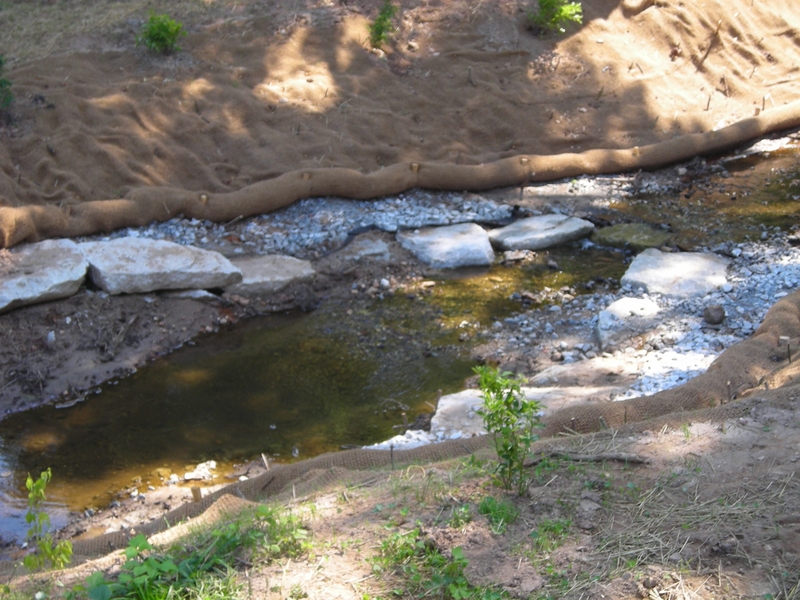 The stream bank has been returned to a more natural appearance which will reduce erosion and allow the stream to become an integral part of the Glenlake Park experience. 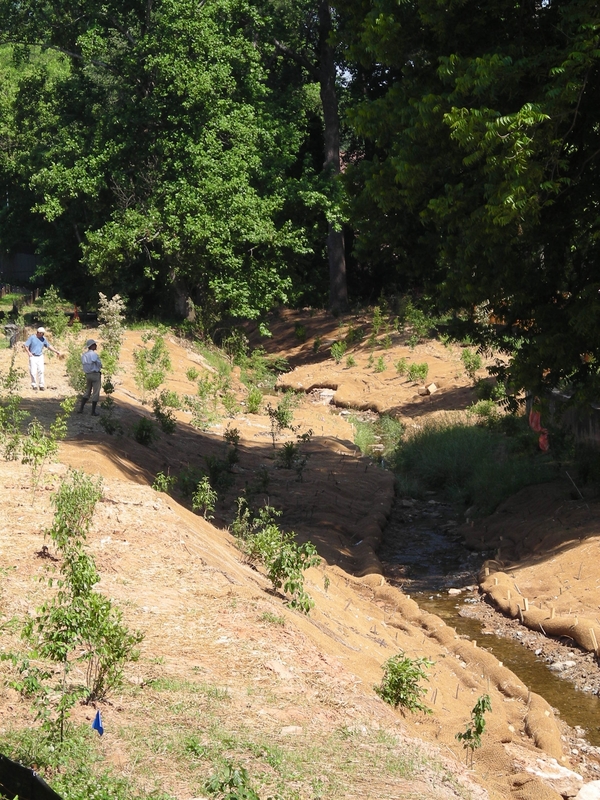 The stream bank restoration work is a great demonstration project showing how streams in urban areas can be restored. The project included the removal of large concrete walls that had channelized the water and contributed to erosion. Native plants are being used to stabilize the naturalized stream bed and a “living stake” system holds fiber mats in place that will protect the banks until the root systems of these plants are established enough to protect the stream bank. These living stakes are cut from willow trees and will actually sprout and grow to become part of the natural vegetation and provide stability for the stream bank. Because of the heavy equipment required to complete the park improvements and the extensive nature of the work being done, the park and the walkway through the park remain closed. However, we will continue to provide photo updates of the progress throughout the summer.